This summer sees something new come to Westport in the Westport Rhythm Roots and Blues Weekender, taking place on August Bank Holiday weekend - Friday July 29 to Sunday July 31. Across three days you can expect the creme de la creme of blues, roots, and jazz artists to grace the bars of Westport, including James Fraher and David Whittredge. James and David play inspired blues tunes from the Mississippi Delta and Chicago, including originals in a traditional blues style. 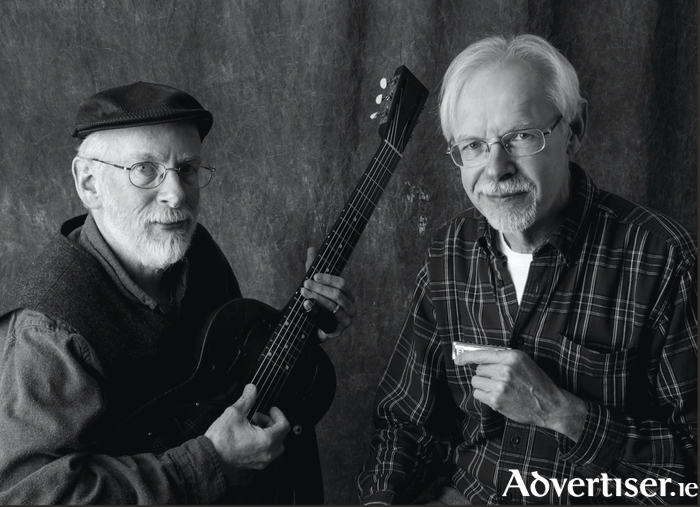 Together they can lay down a groove, taking their audience out on to the front porch or all the way down in the alley for some exciting blues right out of the great folk blues tradition of guitar and harmonica duos. The local artists making an appearance include Joanne Keegan and Friends, Derek McGowan and Friends, and Fuzzy Colosus - all of whom hail from Westport and have great reputations for their dedication to music in the town. Also making appearances will be The Stonecold Hobo, a rhythm and blues band from Drogheda,whose sound is best described as Led Zeppelin, Rory Gallagher, and ZZ Top with a dash of Muddy Waters. Their live show is noted for its energy. David King is a Dublin folk and blues singer whose Delta and Chicago blues style combined with his unique blend of Irish soul offers original vocal and guitar sounds. The Pat Mc Manus Band are an Irish power trio led by former Mama's Boys and Celtus guitarist/violinist, singer, and songwriter, Pat McManus. Strange Brew will get your toe tapping, leg shaking, and hips swinging. The band plays music as it should be. Jo Keegan & Friends specialise in roots and blues. They play in the bars of Westport regularly and are always a great hit. The bars taking part include: T Bourkes, O'Gradys, The Jester, The Porterhouse, The Clock, The West, O'Malleys, Blousers, and Cosy Joes. Chekout the Westport Rhythm Roots amd Blues Weekender Facebook page for all the information regarding set times and the artists to be involved. Page generated in 0.0963 seconds.